Option A: You can fill out the attached Best of Show Portfolio Worksheet and submit that. Please discuss your Mission, Design, and Format for your GPS: Grad Portfolio Storyboard. Option B: You can write your GPS: Grad Portfolio Storyboard Plan as a narrative and submit that. 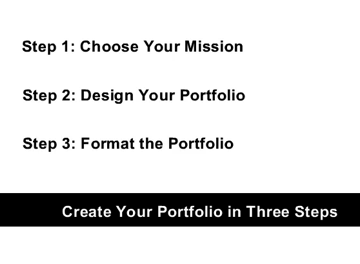 Please discuss your Mission, Design, and Format for your GPS: Grad Portfolio Storyboard. 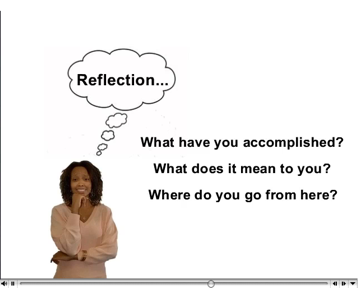 Option C: You can develop a visual presentation of your GPS: Grad Portfolio Storyboard. For example, a map of your portfolio, slides of your portfolio, etc. Please discuss your Mission, Design, and Format for your GPS: Grad Portfolio Storyboard. Option D: You can submit your developing GPS: Grad Portfolio Story. For example, link to the url, pdf’s from your portfolio, etc. What is the Mission, Design, & Format for Your Portfolio? Dr. Joanie says "You are the Star of Your Story"! Is the Mission of the Best of show Portfolio explained for one or more of the following? Design: Will the reader understand your learning story? What is the best table of contents for your learning story? When you present your Best of Show Portfolio in class, you will be asked “What did you learn about yourself by developing your portfolio?